Dog Tag Multi Tool is the perfect combination of military and survival. 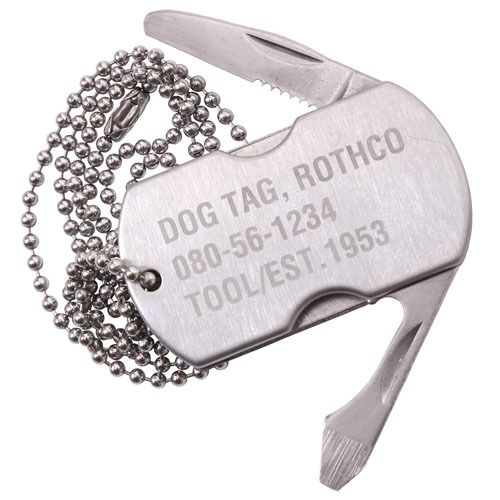 Like a traditional dog tag, it comes attaches to a 4" ball chain but has the additional benefits of a small knife, bottle opener, flathead screwdriver, and file. The dog tag multi tool is blank on one side and laser engraved on the other. Dimensions: 1 7/8" x 1 1/8" x .25"